American Freedom Can Turn Tables on Exaggerator in Travers Stakes by Reinier Macatangay: Triple Crown-winning trainer Bob Baffert returns to Saratoga this year with two entrants for the $1.25 million Travers Stakes on Saturday, and each of them holds a legitimate chance to win. From an experience standpoint, American Freedom is the one to watch because of his second-place finish to Exaggerator in the Haskell Stakes (GI) at Monmouth Park last month. Arguably, American Freedom ran the better race than his popular opponent because he withstood the pace, while Exaggerator capitalized on it. Yes, the best horse does not always win. At times, pace or an otherwise poor trip compromises chances. In American Freedom’s case, he had to battle Kentucky Derby champion (GI) Nyquist at the beginning, and slowly put away Nyquist after fractions of 22.78 and 46.62 seconds for a 1 1/8-mile race. Unfortunately, Exaggerator was waiting on the outside and swallowed the pacesetters during the stretch run. He actually came in a little bit, enough to cause an inquiry into whether he interfered with American Freedom, but ultimately won. Nearly all pace handicappers will agree though American Freedom put in a bettor effort. A few might worry over whether he must duel again, this time with the speedy Jim Dandy Stakes (GII) winner Laoban. Recent press release comments from trainers of both contenders reveal a quick pace may not happen. 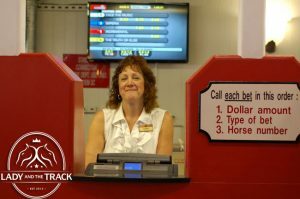 “He got involved in a fast pace early and really hung in there despite losing some momentum in the stretch. 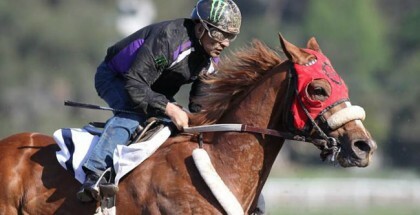 He doesn’t need the blinkers anymore,” Baffert said. The removal of blinkers usually indicates the trainer wants his horse to relax a bit more. If Laoban takes advantage of the possible scenario where American Freedom is not sent, trainer Eric Guillot is not revealing those plans. Well then, who will go to the lead? Arrogate? American Freedom’s stablemate Arrogate owns obvious speed, and might have to be used from the rail position. He broke his maiden on June 5 at Santa Anita Park in wire-to-wire fashion, and also utilized the same tactics in his June 24 win against older horses. The next month, he rated well enough in third before winning at Del Mar. The problem with Arrogate is the lack of stakes races on his record, or even other horses to run against. The Del Mar race came against exactly two other horses, and runner-up Kristo is not a graded stakes runner. Going back to Exaggerator, fans will bet him regardless of other horses in the race. While he can win for the brother team of trainer Keith Desormeaux and jockey Kent Desormeaux, the price will probably be underlaid. Above all, Exaggerator needs a healthy pace to run at, or the closing kick will not look the same. “His success is not dependent on a sloppy track, but his success is dependent on a pace to run at,” (Keith) Desormeaux suggested. So, in Exaggerator’s case, he can really use a speed duel between American Freedom and Laoban. Another interesting contender might be the Todd Pletcher-trained Destin, who ran second in the Jim Dandy. 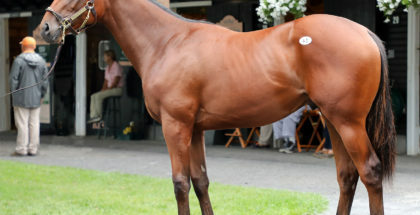 It is a slight concern whether Pletcher can have this colt peak again after throwing a sharp Belmont Stakes (GI) effort. Also, Connect and Gift Box give the Travers a shot for trainer Chad Brown, after finishing 1-2 in the local Curlin Stakes. Either of them could improve enough to challenge in this spot. My Man Sam, Governor Malibu, Forever d’Oro, Anaximandros, Majesto, Creator and Gun Runner round out the field. 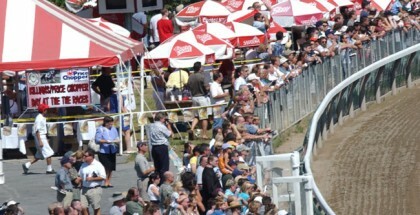 The Travers promises to be a special race as always. A blinker-less American Freedom should work out a close stalking trip under Rafael Bejarano and strike at the right moment, but if not, it is wide open.